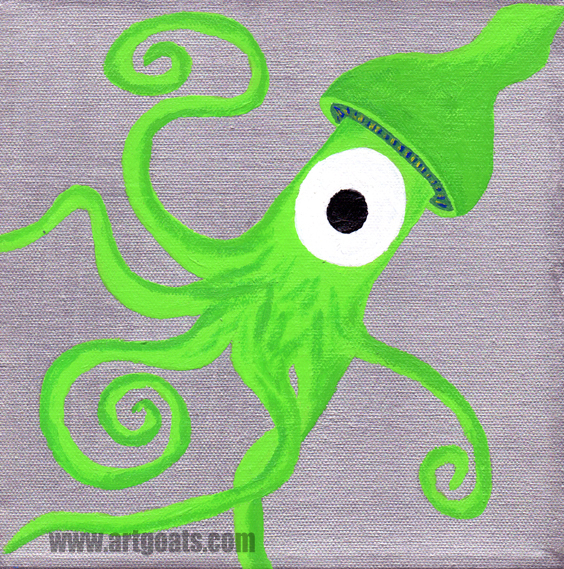 A rare glimpse of the elusive green Giant Squid floating about in the mysterious silver seas of the Pacific. Original acrylic on canvas 8″x8″x1.5″. Free standing and/or ready to hang.